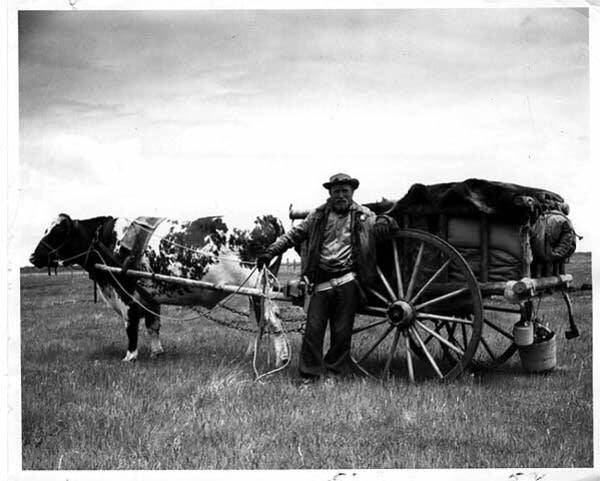 On July 10, 1958, Minnesota farmer Delmar Hagen left Pembina, North Dakota, with an ox and a two-wheeled wooden cart. Forty-five days later he arrived in St. Paul, Minnesota, to help kick off the state fair and centennial exposition. Orlin Ostby was 17 years old in 1958 and worked for Delmar Hagen. "In fact I took him to Pembina when he started out on his trip, with his truck," recalls Ostby. "We were talking and he said, 'Maybe you can make this trip in 50 years.'" Ostby farms near the eastern Marshall County community of Gatzke, and has a full-time job at Polaris Industries in Roseau. But he'll take off more than a month next summer to fulfill that promise made nearly 50 years ago. 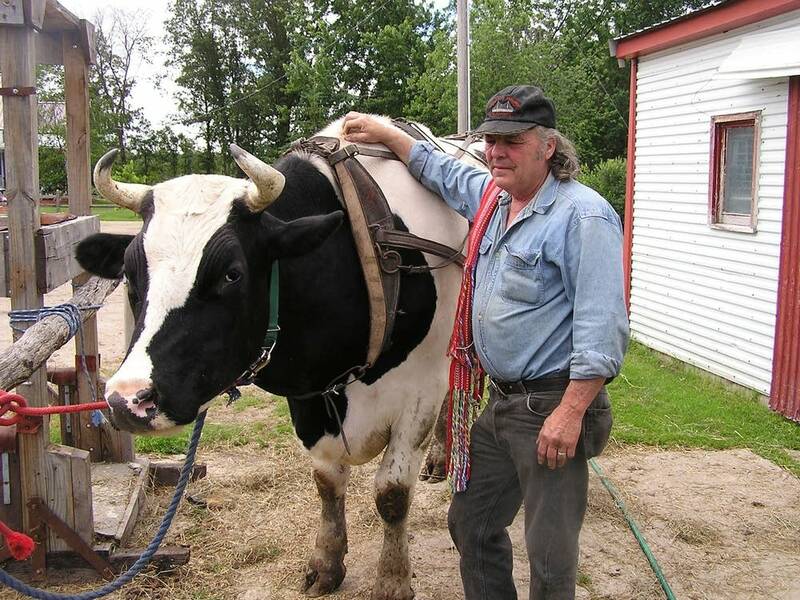 Ostby started preparing five years ago, buying two Holstein steer calves broken to harness from a New Hampshire farm. They're now about five and a half feet tall, and each weighs nearly a ton. "This is Pum," says Ostby as he leads the black and white ox from a barn. "They came from a dairy farm that raised pumpkins, so they named one Pum and one Kin. This is Pum. He's kind of the brains of the team." Because he's the smartest and best natured of the pair, Pum will pull the two-wheeled wooden cart at a leisurely pace along the old Pembina Trail. "It's not fast, I'll tell you that. It's a slow mode of transportation," says Ostby. "It's 420 miles, and I hope I can average 10 miles a day. I can probably get 15 miles on a good day." Orlin Ostby and Pum will be walking a trail that's been mostly erased by civilization, but holds an important place in Minnesota history. 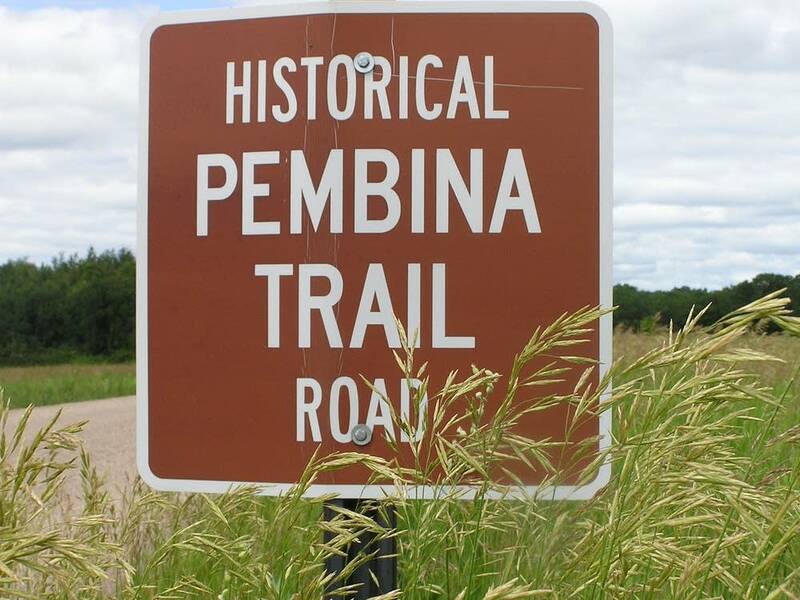 What's now known as the Pembina Trail was called the Woods trail in the 1840s. It was part of a network of rough trails from Pembina to St. Paul. In the mid-1800s, oxcart trains several miles long carried tons of furs from the north to St. Paul, making the city one of the top fur markets in the country. 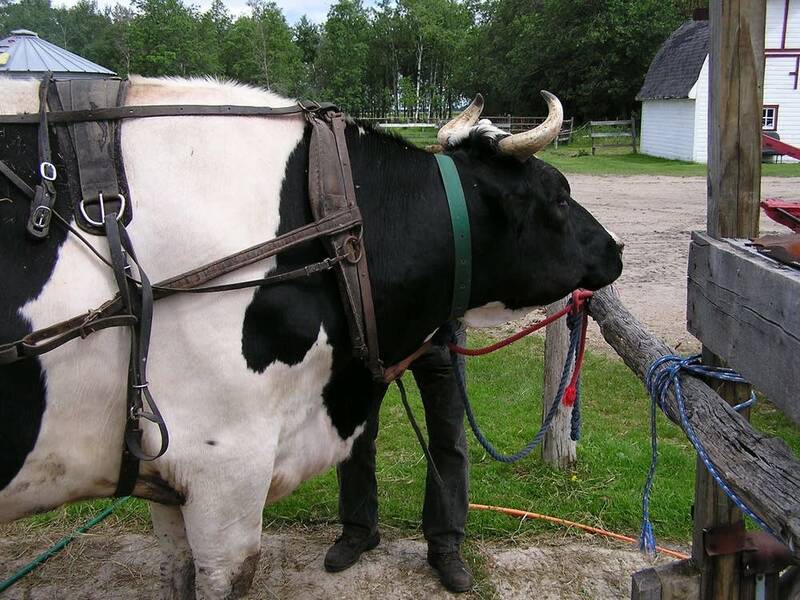 Most of those oxcarts were driven by the Metis, a people of Cree and French lineage. The Metis were known for the colorful sashes they wore, and the lively fiddle music they played around the fire. Orlin Ostby wants to recognize the Metis connection to Minnesota history. 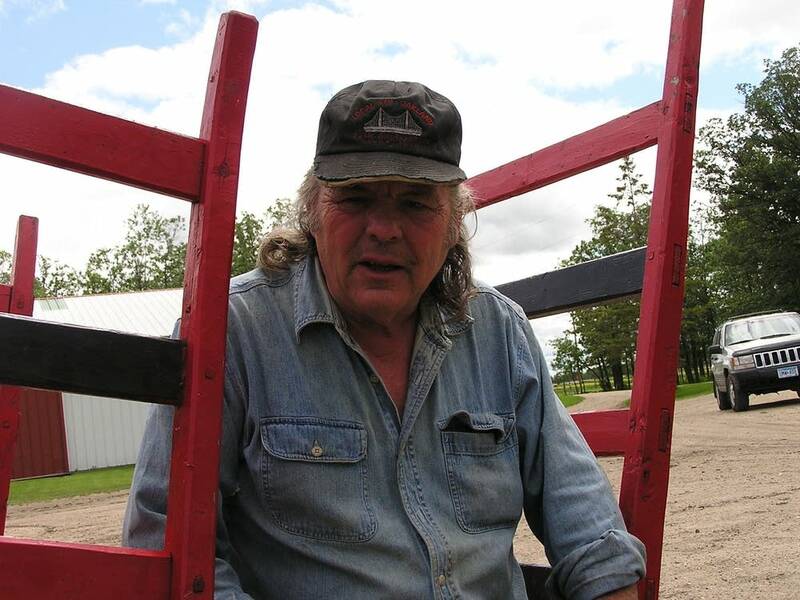 A Metis from Canada built his two-wheeled wooden oxcart, and gave him a traditional sash to wear on the trip. Pum stands quietly as Ostby throws a harness over his back. The ox has walked in several parades the past couple of years, and Ostby says nothing rattles him, not even military jets screaming overhead. "You can see he's not a rambunctious animal at all. He's a pretty down-to-earth Pum. He thinks this is all right, getting all this attention," says Ostby as he pats Pum affectionately. The original oxcarts were known for the screeching of their ungreased wooden axles. One traveler in the mid-1800s noted they could be heard five miles away, "moaning and screaming like a discontented panther." Ostby won't have that problem, because while his cart has a wooden axle, it has a steel insert in the wheel to make it more durable. Still, he says he's trying to recreate that screeching sound on his oxcart. Ostby's partner in the oxcart trek is Steve Reynolds, a friend who's helping raise the estimated $20,000 the 45-day walk will cost. "Well Steve, I suppose we're going to have to take off the first part of July next year," says Ostby. "About now. We'd be getting pretty itchy about right now." "Breaking in our new boots," adds Reynolds with a laugh. Reynolds will be along to provide moral support, and for the slow-motion adventure. "I don't know what to expect, never walked 400 miles before," says Reynolds. "It's not likely that if you fall behind you won't be able to catch up easily." Reynolds says he'd also like to draw attention to a piece of dusty Minnesota history. 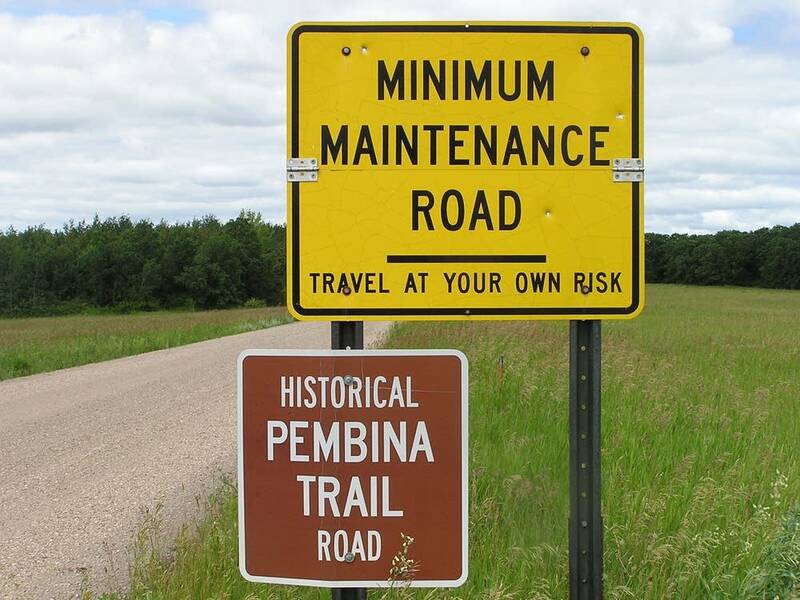 "Pembina was developed or settled in the 1700s. It's the oldest city in North Dakota. I think it was James Hill and Lord Selkirk that helped develop the fur trade route from Pembina to St. Paul in the 1840s. It's amazing the tremendous line of furs and trade goods that came through that area," says Reynolds. Each oxcart carried about a ton of furs to St. Paul, and returned to Pembina loaded with everything from barrels of flour to pianos. 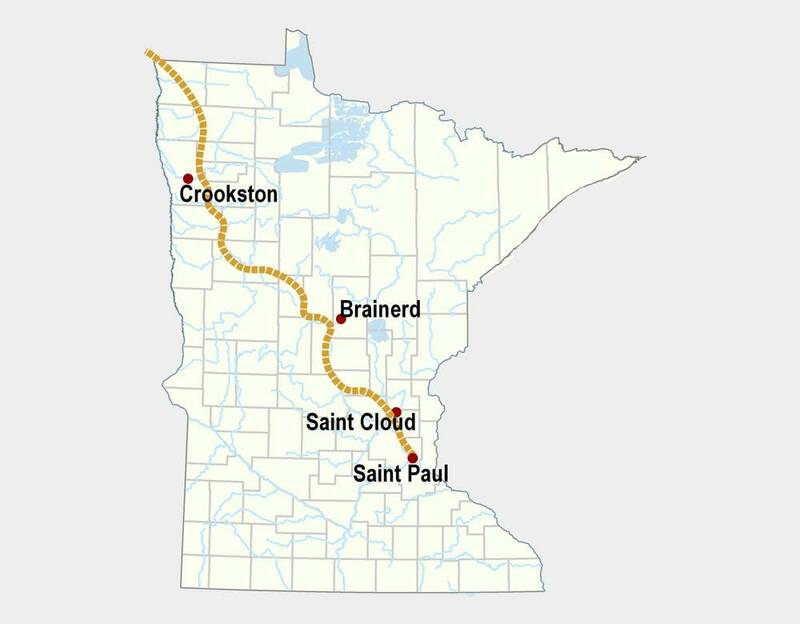 The 45-day trip across the Minnesota countryside was a test of endurance. There were no roads. The men and oxen had to cross rivers and swamps, walking 15 miles a day in sun and rain, fighting clouds of mosquitos, and sleeping on the ground. Orlin Ostby plans to sleep on the ground when he makes his trek to St. Paul next summer. The physical test isn't what worries him. "I guess I'm more worried about traffic," says Ostby. "What I'm most worried about is (Interstate) 694 to the state fairgrounds. That's going to have to be done awfully early in the morning. I hope it can be done." Ostby will take a road trip later this summer to plan his route from Pembina to St. Paul. He'll travel everything from dirt roads to state highways, but he wants to stay as close to the old oxcart trails as he can. Next summer he'll try to recreate a piece of Minnesota's past.